A three-hour coach trip took us from Punta Arenas to Puerto Natales through some pretty unspectacular flat, bushy Patagonian landscape. 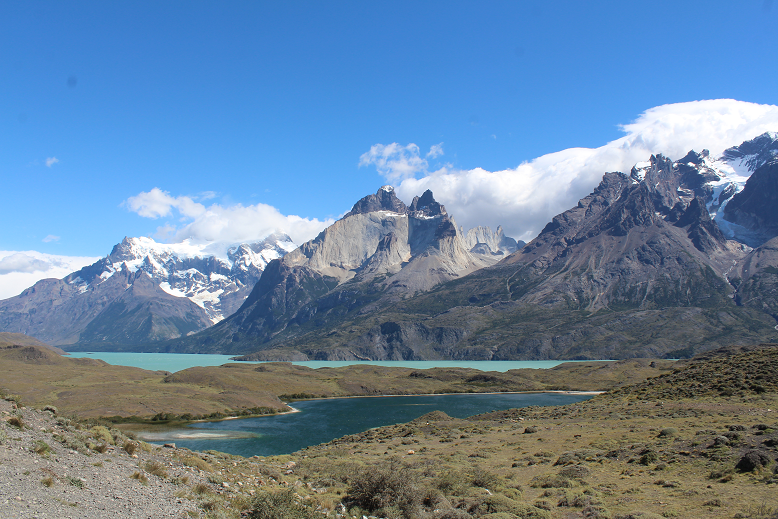 We were here for one main reason, the Torres del Paine National Park. Initially we were going to camp and trek a bit in the park, but with campsites fully booked when we attempted to secure a pitch back in New Zealand we decided to send our camping gear home and enjoy the Torres del Paine on a day trip instead. Back in Punta Arenas we had tried to work out the route we would take when heading North through Chile and Argentina. 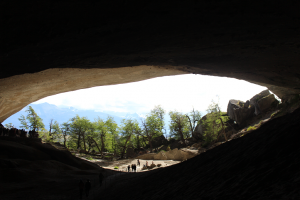 We wanted to overland as much as possible but accommodation was looking hard to book after Chile Chico, where we wanted to see the Marble Caves. Eventually we made the decision to miss the marble caves and take a ferry through the Patagonian Fjords after spending some time in Argentina. 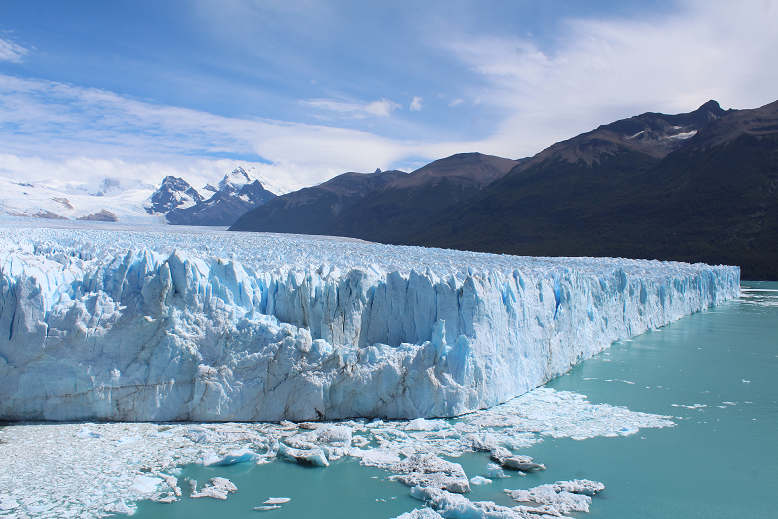 Having made this decision it meant that we had to book our coach trips into Argentina and back out almost as soon as we arrived in Puerto Natales. 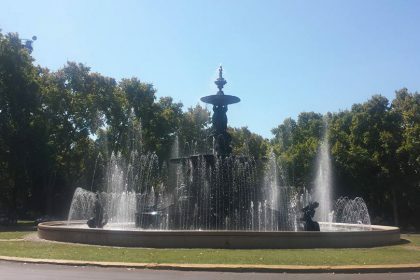 After checking into our hostel, Hostal Alcazar, Dad took the short walk to the bus station and arranged our return tickets to El Calafate in Argentina. We immediately liked the look of Puerto Natales. The houses were more spread out and for the first time we had a view of mountains in Patagonia! Our hostel had information on a couple of day tours. 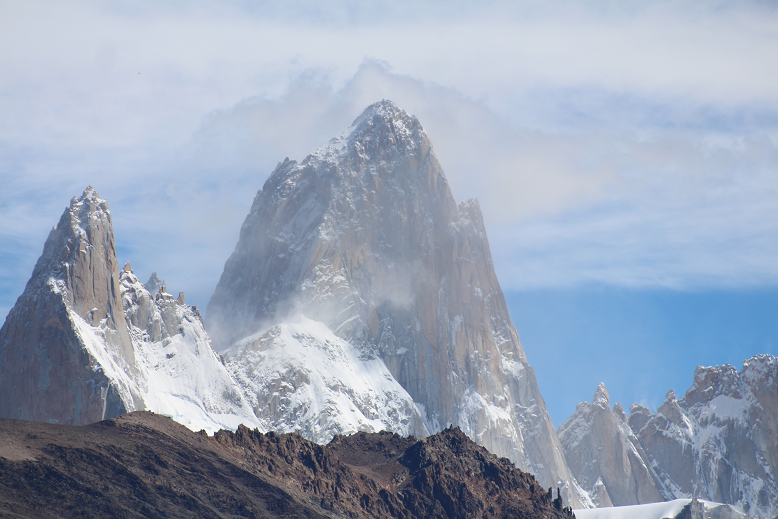 The first was the one we wanted, the Torres del Paine. The second was to a couple of glaciers. Since we only had four nights and generally have a rest day after a full day it meant that we would only be doing the Torres del Paine trip before moving on. Friday would be a day to explore Puerto Natales, Saturday would be the tour and Sunday we would rest before crossing the border to Argentina on Monday. Setting off into town we explored the central plaza before finding a restaurant that was to become our favourite during our stay – the Mesita Grande. This was a pizza/pasta restaurant that had gluten free options for Mum. 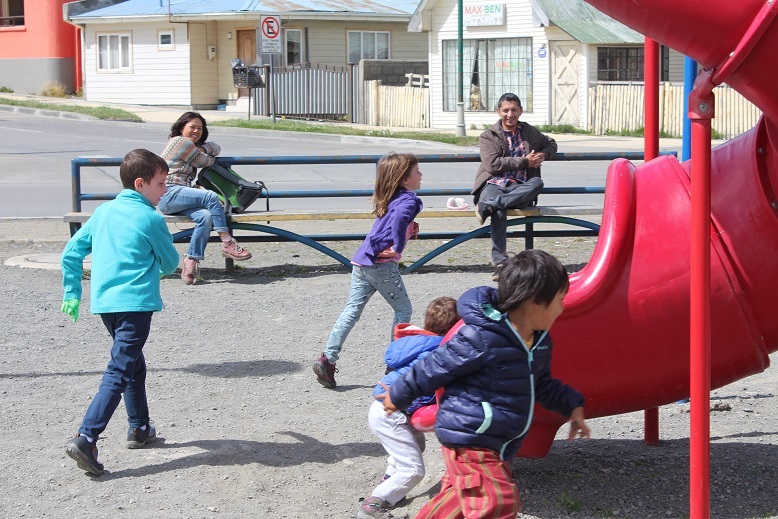 The kids and Dad were more than happy with the tasty pizza on offer and Mum had her fill of gluten free pasta over the four days we stayed in Puerto Natales. After a filling lunch, we took a walk to the waterfront where our kids joined with local kids playing in a small park. The following day was our trip to Torres del Paine national park. We had an early breakfast before being picked up at the hostel by our guide in a minivan. 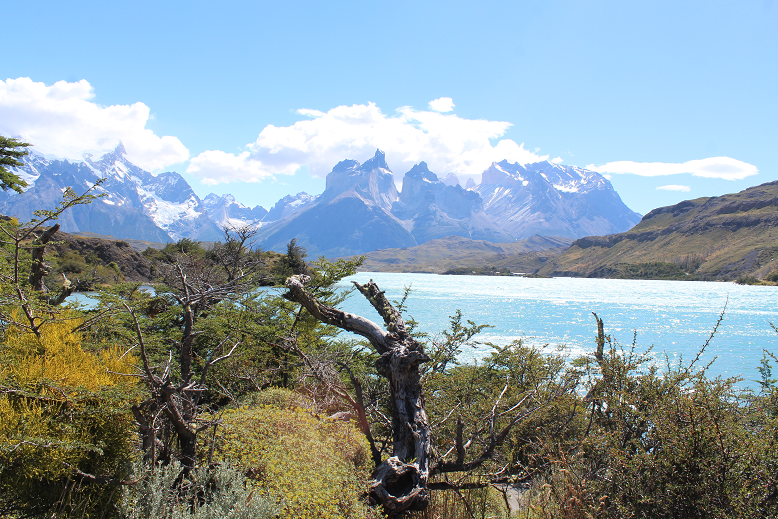 After picking up other passengers we headed off for the two-hour trip to Torres del Paine. The first stop was by the border with Argentina where we had a bit of time for a toilet break and to look at souvenirs in a shop. Not long afterwards we could see the magnificent sight of the Torres while stopping for photo opportunities by a gushing river. We bought our tickets and entered the Torres del Paine national park. Being a day trip we were not trekking through the national park. Instead we drove and stopped at a series of wonderful viewpoints. After our lunch stop we headed to Lago Grey for a short one-hour trek. Starting off through a forest we were all happy enough, however as soon as we got into the exposed area of the lake the wind picked up to the point where the gusts were nearly blowing the kids over. Not so happy with the situation, the kids asked to head back to the bus and we agreed. It had been a fun day in the national park and the kids had loved the many gorgeous views. On the way, back to Puerto Natales we stopped at the Mylodon Caves. The Mylodon was a large sloth like creature found in the Patagonia region that lived during the ice age (the real Sid the sloth from the Ice Age movies as we told the kids!). By this stage, however, the kids were tired and didn’t want to go to the cave. Instead Mum went and looked. Our daughter caused a backlog at the ladies’ toilets as the locked herself into the cubicle and couldn’t get out. Instead of waiting for help she crawled under the door and left the women waiting with a locked door! !